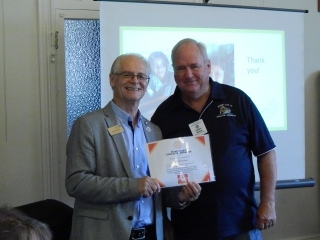 Hugh introduced Peter Warren from the Rotary Club of Armadale, who is the Fundraising and PR advocate for Mukti Mission. Mukti Mission was founded in 1889 (130 years old), by Pandita Ramabai, in India. Mukti India is a multi-faceted Christian humanitarian organisation which is working with and for women and children in great need. They provide provision of children’s homes, schools, vocational training, a hospital and community outreach. Through the provision of these homes and services, destitute women and children find love, care and acceptance, providing them with hope and a future otherwise unknown to them. The aim is to promote security, stability and health. 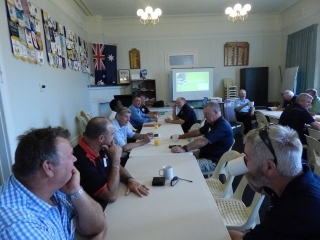 To help communities develop the services and facilities they need. To encourage self sufficiency and give women the skills to live confident independent lives. 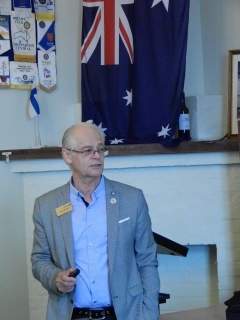 If you need further information on this project, Hugh has a copy of Peter’s presentation, or you can contact Peter on email: peter@mukti.org.au. Geoff Wood thanked and complimented Peter on his passion for this project.